At the St Remo Conference Britain was assigned Palestine, Transjordan, and an oil-rich area, renamed Iraq, consisting of lower Mesopotamia and a part of Upper Mesopotamia. To ensure the control of Haifa, needed as a fuelling post for her oil-fired navy ships, Britain agreed to accept responsibility for Palestine from Gath to Beersheba. 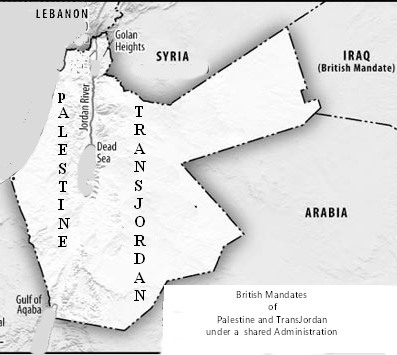 Britain also consented to use the administration to be set up in Palestine to administer Transjordan as well, as allowed by article 22 in The Covenant of the League of Nations: i.e. Certain territories, which, owing to the sparseness of their population, or their small size, or their remoteness from the centres of civilisation, or their geographical contiguity to the territory of the Mandatory, can be best administered under the laws of the Mandatory as integral portions of its territory, subject to the safeguards above mentioned in the interests of the indigenous population. After the St Remo conference the Muslim-Christian Associations joined to hold the first Palestine Arab Congress in Jerusalem. Its main platforms were a call for representative government and opposition to the Balfour Declaration. Although the Ottoman Sultan signed a treaty at Sèvres in which he renounced all rights over Arab Asia, the treaty could not come into force until the Turkish Senate had ratified it. However, the Turkish Senate at first refused to ratify the treaty and did not do so until 1923. Although the mandate was not yet a legal instrument, in June 1920, the British transferred Palestine from military administration to civil administration and appointed Viscount Herbert Louis Samuel as High Commissioner. Soon afterwards, under pressure from Zionists, Britain negotiated with France to swap part of the Golan Heights, originally apportioned to British Palestine, for the Jewish settlements in north Galilee which had up to then been part of French administered Syria. 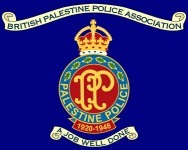 However, in addition to the Jewish settlements, this brought a number of Shia Muslim villages into British administered Palestine although most Palestinian Muslims were Sunni. This created another source of friction in Palestine.